A pixel in our show is any LED or set of LED bulbs that can be programmed to change colors with the music. 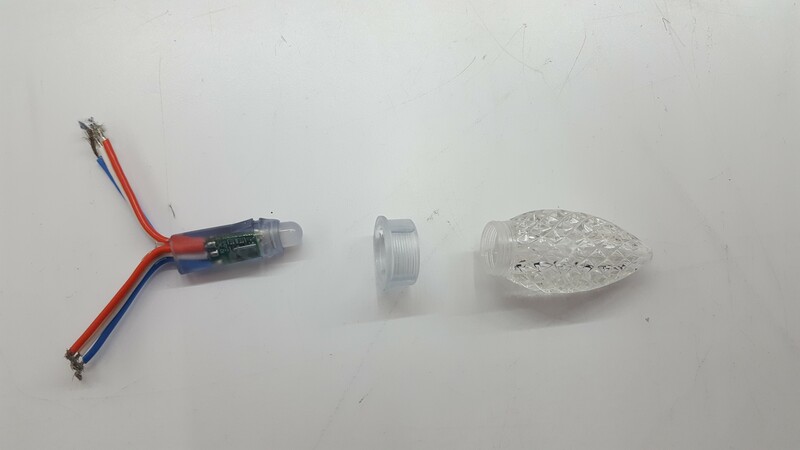 The LED bulbs actually have 3 separate LEDs inside of them. 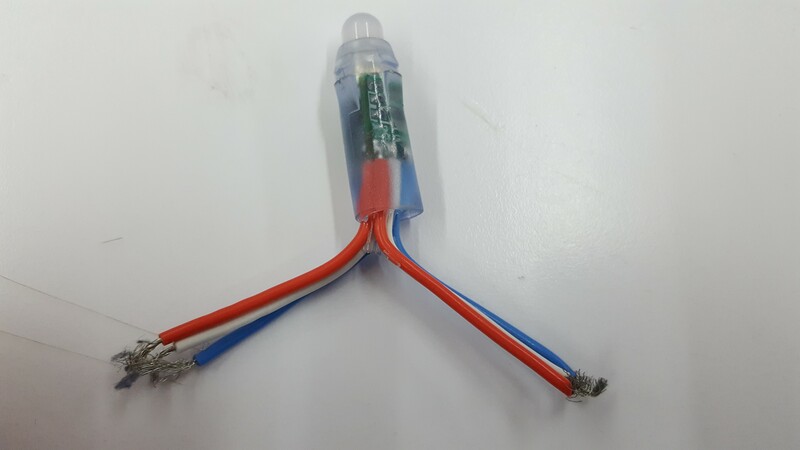 Those LEDs are red, blue, and green in color. With these 3 colors, we can choose between 16,777,216 different colors. Each color can have a value from 0(Off) to 255(fully on). This gives us 256 x256 x 256 = 16,777,216 different color possibilities. 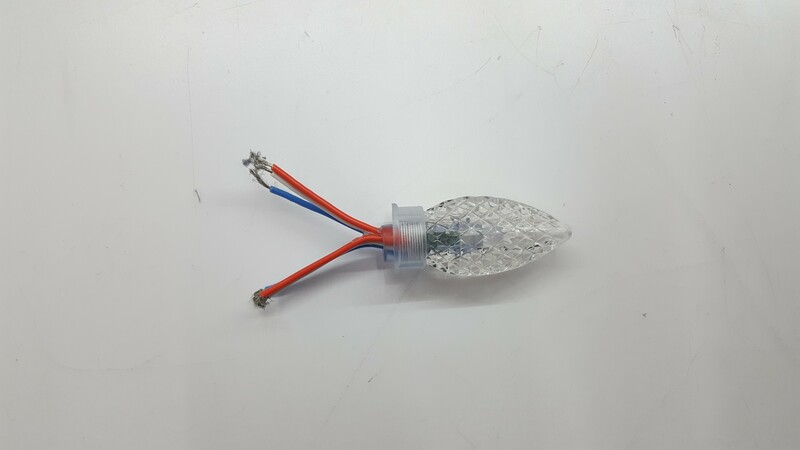 This LED is found in the bullet pixel, the square bullet pixel, and the C9 bulb. 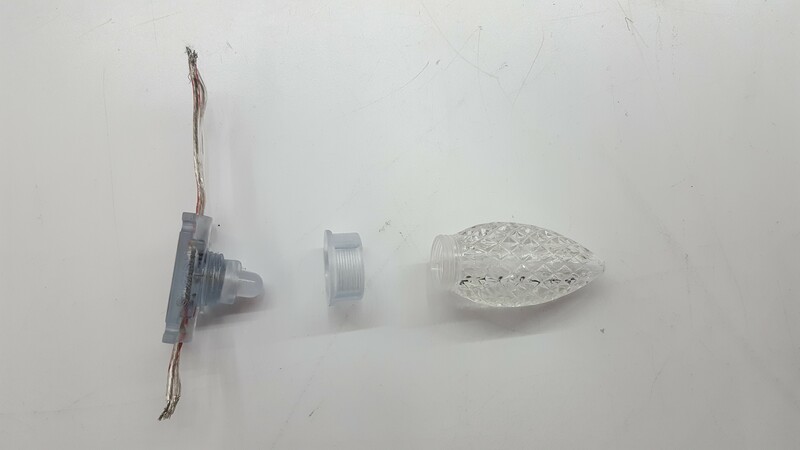 Here are the insides of the C9 Bulb. 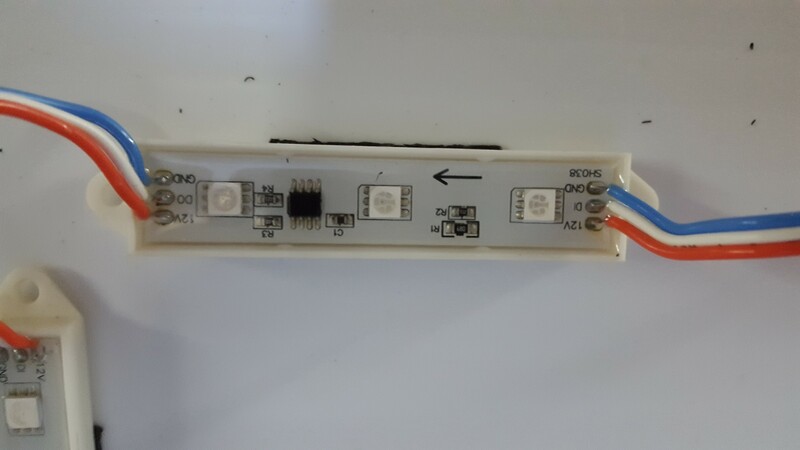 The chips on the board tell the LED which color it should be. This is the most common Pixel in the show. We used this in our snowflakes, stars, squiggly trees, bells, matrices, and in our ribbon tree. This is the pixel that made up our original pixel tree design. This is also what is on the 7 white trees. 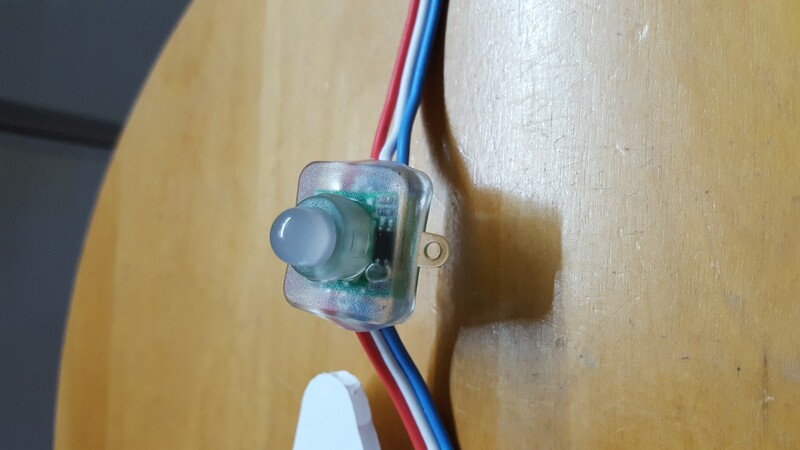 This is one pixel which has three RGB LEDs. This is used in the bottom of the large present. We have some upcoming ideas for more light elements including these pixels. These pixels are used in our Valentine hearts and our St. Patrick’s day Shamrocks. 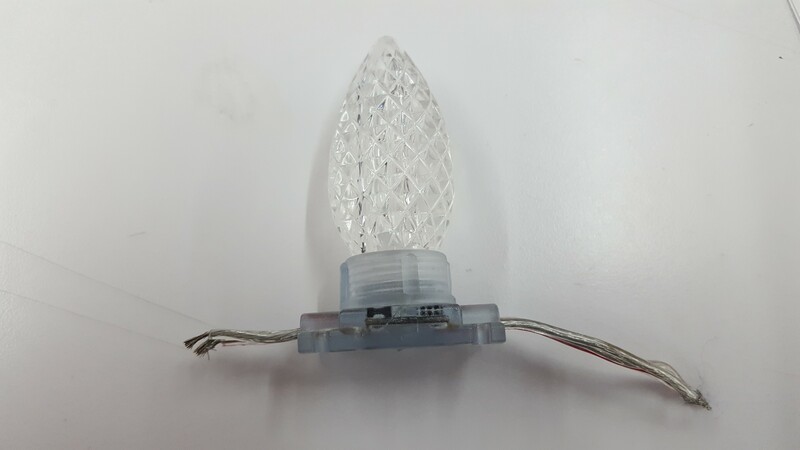 For Christmas 2017 we received a batch of C9 bulbs that were defective. They were rated as waterproof, but as soon as it rained a lot of them had water on the inside of them which ruined them. So we had to improvise a solution. 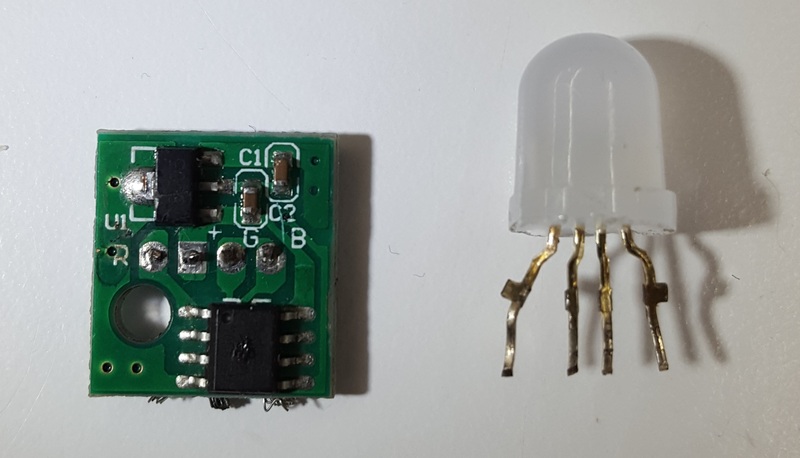 The C9 bulbs come apart into three pieces: the bulb, the collar, and the pixel. We replaced the defective C9 Pixel with the bullet pixel and put it all together. 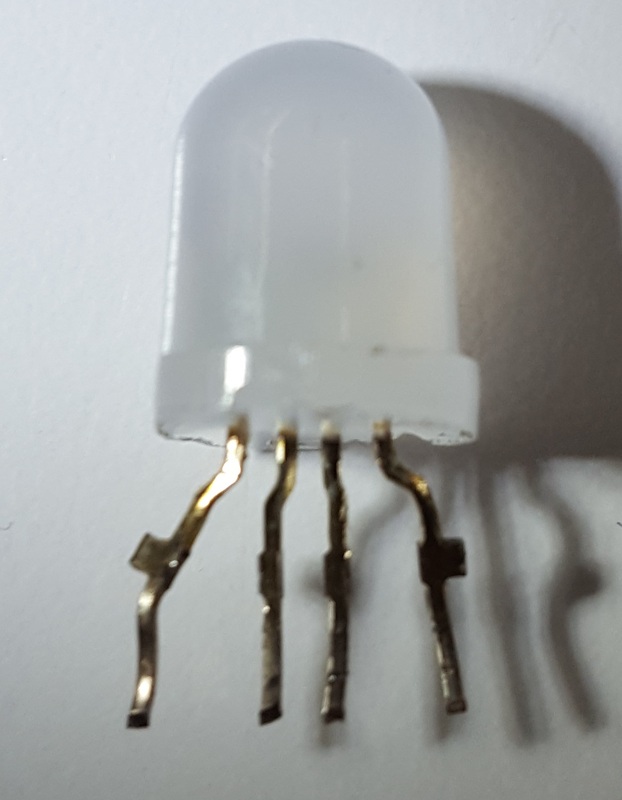 Fortunately, the bullet pixel fits perfectly in the C9 bulb and holds itself in with no adhesives. We had to do this to about 20 ribbons on the ribbon tree. Which means we had to unscrew 2,000 C9 bulbs and then reassemble 2,000 of these combo bullet pixels.